When I was a kid, a visit to the city meant record shopping. Invariably I’d return home with a paper bag tucked under my arm housing numerous vinyl album purchases that included selections earmarked for immediate listening. I had developed favourites and my album collection soon became patently discriminatory. I cherished The Beatles but despised The Rolling Stones. I listened to plenty of Chicago, Traffic and Van Morrison but turned my nose up at Bowie or Iggy Pop. My ability to remain open to new ideas, philosophies and new music had been shut down. I became closed off to anything new. So I learned to clear out old prejudices from my brain drive to allow new information to fall into the vacancies. This included new music. I now embrace newly minted musical creations like an enthusiastic puppy and I’m grateful because here in our midst is a bevy of uniquely talented artists creating and performing great original music that merits listening and support. On these pages, I share the highlights. I hope you’ll tuck them into your playlist and enjoy the magic as well. According to May, plez is short for pleasant, and the band’s music is indeed pleasantly artful. It emerges from collaboration among bandmates, who take May’s initial creations and forge them into the final product by taking musical risks and showing vulnerability throughout the development process. “Go with the Flow” and “The News” personify Falcon Jane’s sound and exemplify their ability to lighten the mood of sad songs. 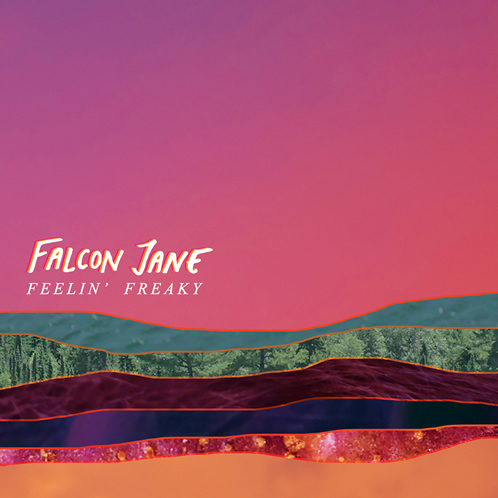 The stage name Falcon Jane was created to replace what May calls her “fairly common” moniker, which she used when she released an earlier solo album. Since then, Falcon Jane has evolved into an outfit including May, Andrew McArthur, Branson Giles, Racquel Hardy and Aidan O’Brien. 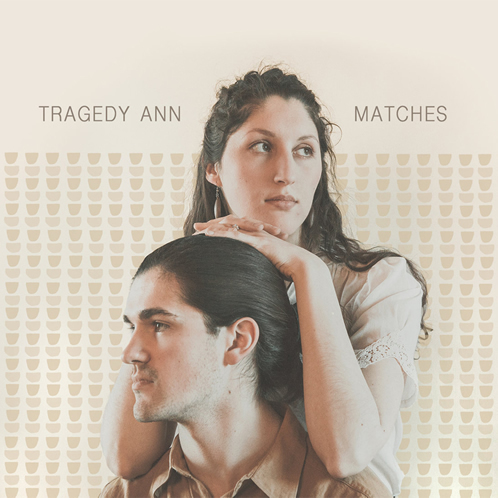 There is much to enjoy in Matches, Tragedy Ann’s new recording – heartfelt performances, creative instrumentation and exemplary sound production. Braden Phelan and Liv Cazzola are Tragedy Ann, and the music on this offering could be described as rooted in the traditional folk genre, though what meets the ear is indescribably unique. Warm and honest, the songwriting is sometimes self-deprecating and often displays subtle instrumentation twists involving ukulele, singing saw and Cazzola’s tastefully creative use of the accordion. Each song is filtered through Braden Phelan’s guitar work and powered by authentic vocal performances and harmonies that contribute to the CD’s interesting texture. After listening to “Regulars” I feel as if I’ve met some fascinating characters. “The Last Thing” examines the ups and downs of romantic relationships and how we sometimes hang on too long. And “Neon & Velour” is an upbeat listening treat. Matches was perfectly produced by audio-genius James Paul at the Rogue Tractor Shop in Mono. Tragedy Ann recently won two Folk Music Ontario awards. You’ll understand why when you enjoy it yourself. Throughout our lives we sometimes flip a sort of switch that provokes significant personal change. At other times the switch is flipped for us. 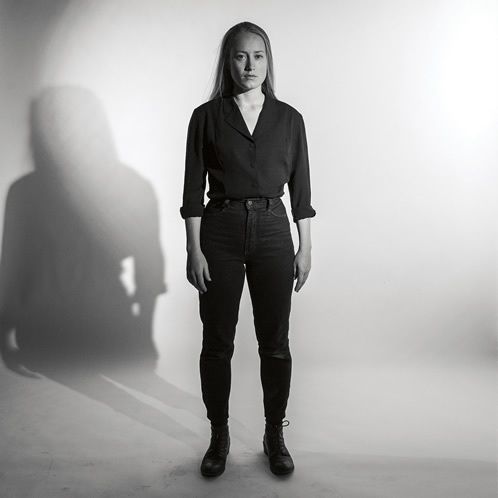 For Tamara Lindeman, aka the Weather Station, thoughts of turning 30 have been creating blips on the radar for the past couple of years, and crossing the line into her fourth decade has triggered notable revisions in her music. On her fourth release, the eponymous The Weather Station, Lindeman takes control of the production faders, string arrangements and rhythmic sensibilities, presenting music that reflects a more aggressive soul and spirited nature. She has consciously chosen to write songs about embracing recklessness and staring down the things she fears. The artist’s distinctive lyrical design and guitar stylings are still a big part of the mix, but strings, piano and a more prominent backbeat now charge things up in a new and vibrant way. It’s no surprise The Weather Station was nominated for a 2018 Juno Award as contemporary roots album of the year. Songs like “Thirty” and “Impossible” purposefully explore things that are important for Lindeman to say right now in her own way. The record is some of her best work and a highly recommended listen. In “Walls Are Blue” Erin Bolton sings, “You showed up a little too late, but I’m glad you came” – and I for one am glad Bolton showed up with Cruel. On this debut effort, the artist shares her thoughts with her voice and guitar, subtly supported with keys and percussive elements by Erick Bruck, who perfectly produced the project. “Regal Fur,” the first single from Cruel, begins with inviting percussion riffs, then transitions into a relaxed backbeat that invites listeners into a dreamy tale of a bumbling attempt to find a home in the heart of another. “Sideboob” is a clever protest tune about “milk in the mall and judgment from the food court.” A favourite for me is the tender confessional “Into Two” on which Bolton is at her most passionate and sharing. 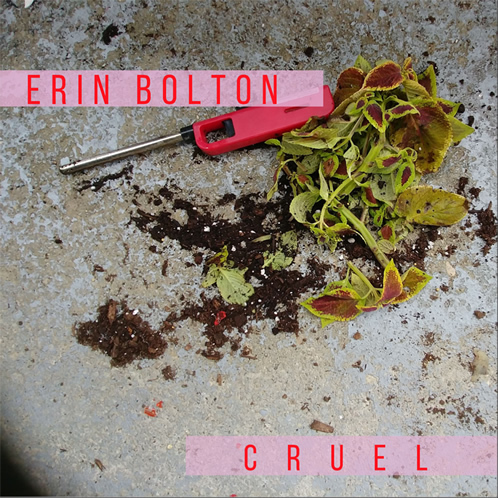 Bolton confesses Cruel is a “tender one,” reflecting the many changes and self-inflicted growing pains in her life. She credits Bruck for believing in the project and helping bring it to fruition. Nothing about this record is put on. It is full of intimate, charming and relaxed songs that try to make sense of the world, and it will surely capture your attention. 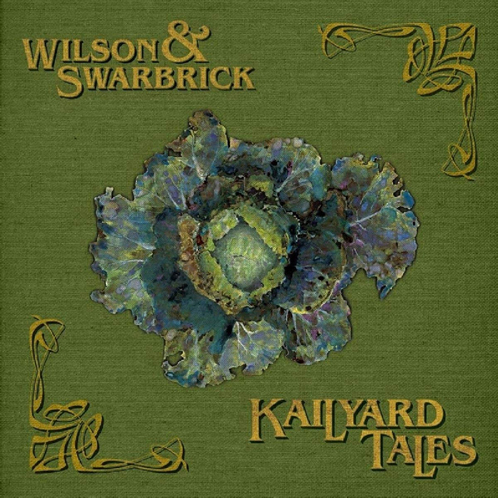 After enjoying Jason Wilson’s album Perennials in 2016, I was certain Kailyard Tales would also be a special listen. But this collaboration with the late folk-rock fiddle icon Dave Swarbrick is more than that. It is an ingenious musical treasure. So much busts out of this collection of music, including Wilson’s superb singing and Swarbrick’s rough-hewn fiddle mastery infused with a reggae feel and 400-year-old folk sensibilities, it’s near impossible to describe the album in words. Kailyard Tales is an event. Admirable musicianship permeates every tune, with horns by Marcus Ali, Patrice Barbanchon and RJ Satchithananthan, and bass by Andrew Stewart. Iain Green is on drums and Zaynab Wilson provides vocals, cajón and percussion. Perry Joseph plays guitar and provides vocals and Dave Joseph is also featured. Guest performances by other significant artists, predictably smooth horn arrangements and formidable production blend to create an exceptional musical experience. Sometimes in life, we just move too fast. Often while travelling north on Airport Road on my way to musical engagements, I have motored past the Olde Stanton Store south of Mansfield and thought about stopping to explore inside the intriguing old building where I’ve been told I could find “gifts from the heart.” Little did I know that store owner Marie Swidersky had already created a musical gift I wasn’t expecting. 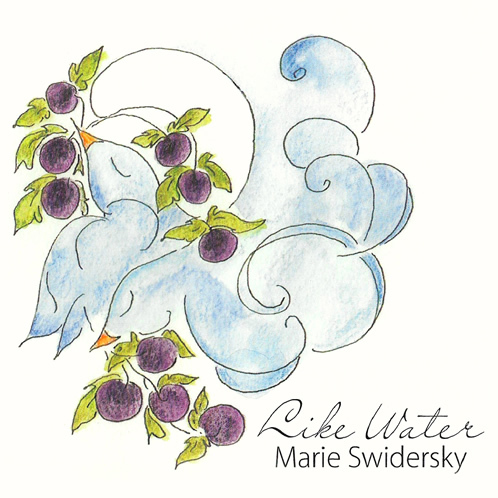 Like Water is a collection of 12 traditional folk tunes sung by Swidersky in her own bright and hopeful style to the accompaniment of the flawless guitar work of Fred Smith and Bruce Ley. Like Water sends a positive musical statement with titles such as “I Will Love You Anyway” and “Island in the Sea.” The tunes wrap you in a blanket of calm in these often frenetic times. This recording is conducive to relaxed reflection on a quiet Sunday morning – or perhaps during a leisurely motor trip up Airport Road toward Mansfield. Separate Rooms, Megan Bonnell’s third full-length album, reflects an artist more empowered than ever and willing to share her bold take on subject matter that is both edgy and heart fracturing. By her own admission, Separate Rooms is her most personal work yet. The title track revolves around the realization that love is just as much about separation as it is about being together, while “Your Voice,” a flat-out anthem about relationship angst, is wrapped in a satisfying piano throb and backbeat. 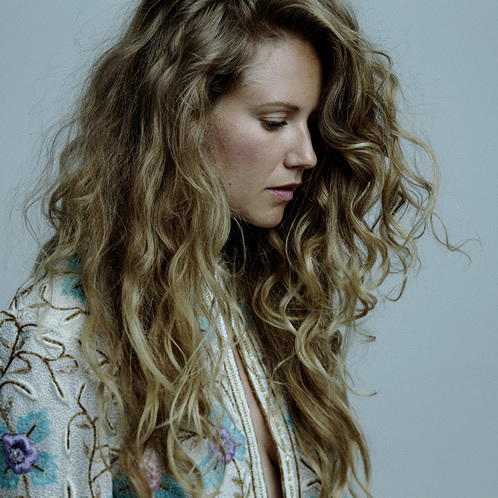 Bonnell also takes on darker issues with “Breakdown” and “Radio Silence,” while continuing to effectively meld the musical influences and genres of her youth with the folk flavour that permeated her earlier music. The resulting voice on this album is intense, honest and increasingly self-assured. Production work on this effort is another successful collaboration with Joshua Van Tassel and Chris Stringer, who continue to support Bonnell’s evolving style. Separate Rooms is an impressive listen with lyrical potency. It has found a home between my headphones during both bad times and good. 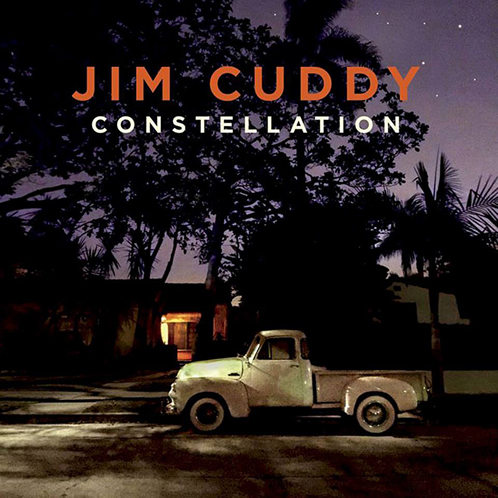 It has been seven years since Jim Cuddy released a solo album, but here he comes again with Constellation, his fourth solo effort. Cuddy, who has a home in Mulmur and headlines an annual fundraiser for CORE (Conserve Our Rural Environment), a local ratepayers’ group, still sings with the same searing blue-eyed soul that rocketed Blue Rodeos’ “Try” to prominence in the late 1980s. As I listened to Constellation, I was reminded of why Cuddy’s country balladry makes him one of the most stellar in the business. There’s plenty to love on this recording, including “Constellations,” which is about good times spent with a very close friend shortly before his death. “You Be the Leaver,” written and performed with a soulful Jimmy Webb-like elegance, could be one of Cuddy’s best relationship ballads ever. And “Cold Cold Wind” starts as a slow country strummer but culminates in a giddy-up coda, as the band’s guitarists get frisky and stage a musical kick fight. Although Cuddy is a front man for Blue Rodeo, one of Canada’s musical juggernauts, Constellation has a vibe all its own, created by a different set of skilled players. It’s Jim Cuddy and his band at their exuberant best. 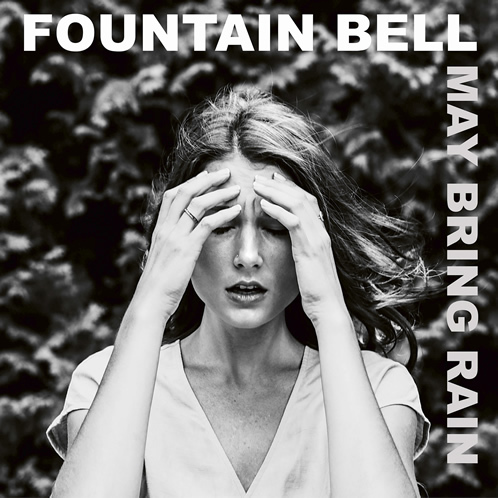 Fountain Bell’s new album immediately took me back to school days, when the opening track of a new album placed on my turntable could induce listening heaven. All the tracks of May Bring Rain are drenched in a crunchy guitar atmosphere reminiscent of Crosby, Stills, Nash & Young’s Déjà Vu and topped with earthy lead vocals and gritty, tailored chorus harmonies. The band waltzes our way with “Four Leaf Clover” and continues to pin us to a wall of musical delight with “Idle Mind” and “If It Takes All Night.” “Nobody Loves” knocked me out with a groove so deep and splendid, my toe-tapping slippers left deep dents in my carpet. Fountain Bell includes Jae Marr, Devin Hentsch, Chris Mullen and Erick Bruck, who draw initial musical ideas from Marr, iron out lyrics and arrangements, and create their own musical science experiment. Bruck, who adroitly recorded, mixed and mastered the record, says his bandmates were going through some major challenges in their lives during the project, and this is evident in their heart-felt performances. 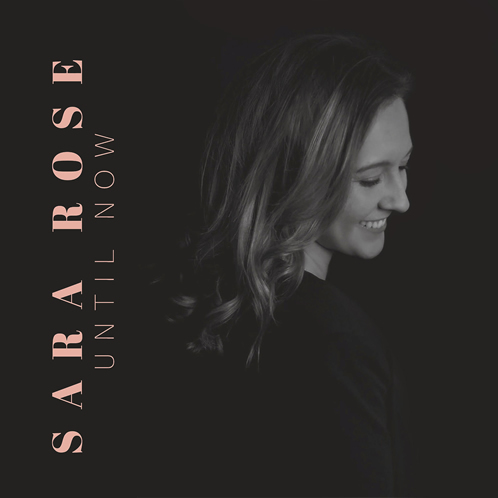 Like the love described in Cole Porter’s legendary classic “I’ve Got You Under My Skin,” the songs on Sara Rose’s debut album Until Now have lately been residing deep in the heart of me. Until Now is the singer-songwriter’s anthem to life, with each song telling a story of love, loss, and everything in between. The artist’s strong singing and songwriting, backed by the impressive instrumentation and vocals of Ryan Hancock, draw listeners in and encourage them to hop aboard for the journey. This year Rose was one of the recipients of a 25 Under 25 Award. All this young artist’s songs are crafted with a writing acumen that suggests someone well beyond her years. She hopes her music is as helpful for listeners to hear as it is for her to express. As for me, I hope more music is on its way. Within six months of officially forming in 2016, The Discarded were in the studio recording their debut CD with Ian Blurton producing. Since then the band has been fine-tuning their sound on the road – and the experience shows on their second release, Manifesto. Like the band’s first album, Manifesto cooks on high during every one of the 10 tracks, but the group is now tighter, more musically confident and in the midst of a very prolific writing period. 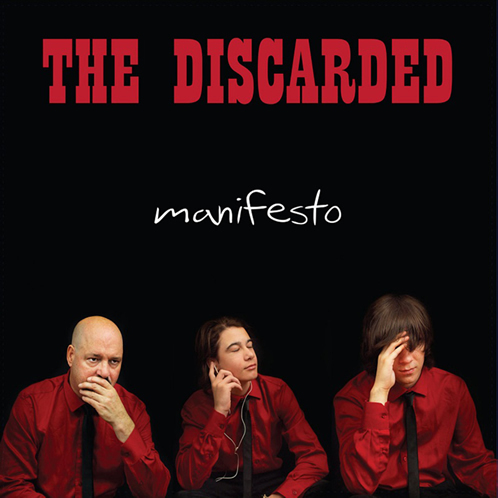 The Discarded is a rare father-and-two-sons combination who get after it in true punk tradition, with dad Joel Wasson on vocals and guitar, and sons Jared on bass guitar and Caden on drums. “Do You Want It Now?” “We Resist,” “40-40-40” and “Please” are my personal favourites, and the band has even more original music coming with a punk-rock opera called Sound Check and Fury in the works for release in three acts, each recorded on a separate EP. The Discarded have recently taken some long drives together to promote their music on the road. Manifesto will also keep your car pumping during road trips. Bluegrass music encompasses blues and country but involves a unique quality of sound and spirit that reflects a hillbilly sensibility imbued with plenty of musical improvisation. As the name Traditionally Wound suggests, the band’s second record Back Where I Come From offers traditional bluegrass music that fuses veteran vocal talent, effortlessly good songwriting and a confident dexterity on all instruments. Most of the 15 tunes on the record, such as “Red River Line” and the dazzlingly dangerous “Falling,” are originals, but a great version of Gordon Lightfoot’s poignant “Redwood Hill” is included, as is a take on Bill Monroe’s “Roanoke.” The man who is often called the “father of bluegrass” would surely have enjoyed this iteration of his tune. 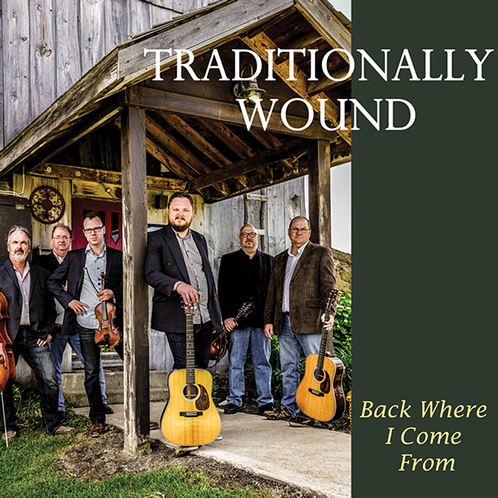 Traditionally Wound is an all-pro outfit comprising John McDonald and Alton’s own Justin McDonald on guitar, Dave Jack on banjo, Tyler Beckett on fiddle, Nick McDonald on mandolin and Sheldon Speedie on doghouse bass. These cats are vintage. The members of Traditionally Wound are as comfortable ripping into hard-driving breakdowns as they are with vocally rich ballads. When you listen to Back Where I Come From, you’re gonna hear award-winning craftsmen playing real, good bluegrass music. 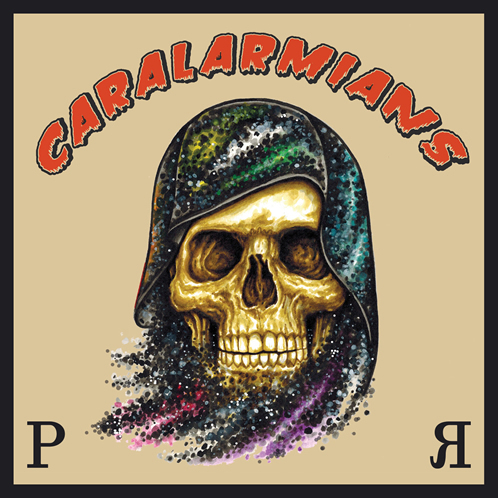 All has been quiet on the PorkRoyalty front for a few years, so I was delighted when Christopher Mullen reached out to share his latest EP, Caralarmians. PorkRoyalty is primarily a studio project, and with schedules and locations being what they are these days, the EP came to fruition with the players collaborating digitally at arm’s length. Mullen, who also plays bass with Fountain Bell, demonstrates his guitar acumen on all six instrumental tracks. Mitchell Girio is on bass guitar and Andrew McMullen on drums. The recording, mastered by Darryl Neudorf at Operation Northwoods in Mono, has a Jeff Beck tone à la Blow by Blow and the vibe of early Eric Johnson – and that suited me just fine. Many of my musical heroes are blues artists who play shuffles, so I was overjoyed to hear some rare shuffling offered in the relaxed and completely grooving “Appaloosa Rolls” and the slinky “MSKDDTKTV.” “Pipe Bomb” is served Texas-blues style and cooked up just right. Don’t let the “cosmic reaper” on the cover, painted by Sean Best, scare you off. You’ll warm up to Caralarmians right away, just as I did. 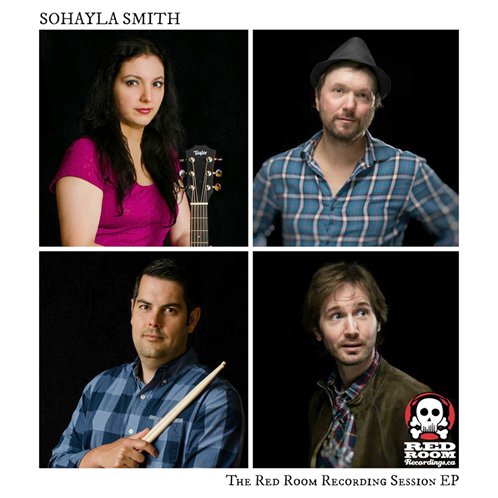 Even more music is coming from the Sohayla Smith Band, which recently completed a recording, not yet titled, that includes “Bridges,” an earlier release, as well as an enhanced reissue of “The Man You Are” from The Red Room Recording Session. After catching a sneak listen, I’m looking forward to enjoying the complete collection. This fall, Smith’s “Burn It to the Ground,” an upbeat stomper well worth checking out, won a Clouzine International Music Award for best country recording. Sohayla Smith may be one of the best-kept secrets in the hills, but I’m betting the secret will be out very soon. When I listened to Emily Gilbart’s EP Long Gone, Vol. 1, the artist’s deeply rich and bluesy vocal stylings belied her young age. Somehow it seems Gilbert was born to translate her feelings in a unique and seasoned fashion. When the five tunes on this inaugural release ended, the soul and control in her voice made me want more. 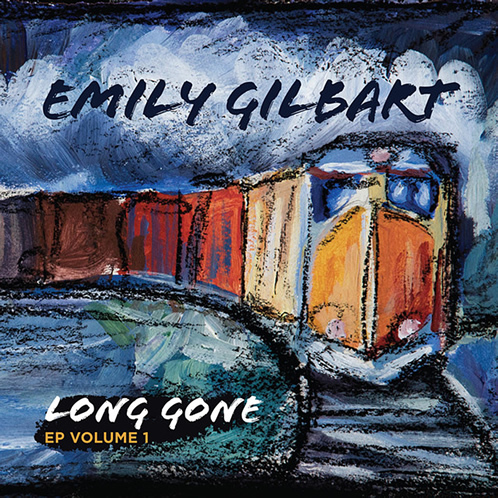 The EP includes no heavy digital enhancement of Gilbart’s voice. 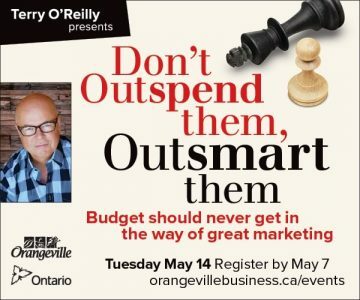 There’s no need for it. Her strength inspires, and the natural confidence of her performance captivates. This artist has been singing and performing live since age 10, and for the past three years her original compositions have earned her a scholarship at the Orangeville & District Music Festival. Gilbart has said she’s not yet ready to define specific musical influences, and her voice, already reminiscent of an Armatrading or a Muldaur, could take her in many directions. But on Long Gone she exudes a special talent worth investigating and enjoying right now. Great variety of coverage. Unfortunately I was expecting much more connection to the area within the album and artist descriptions. I was left guessing just how local these artists are. 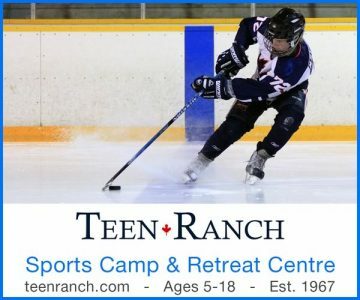 What’s their personal affinity to The HIlls region? Emily Gilbart is one artist who hooked me from the start at a local open mic. Then she recently did her first gig at FanJoy Restaurant & Bar in HIllsburgh where there was more time for her to go through a full set for appreciation of her vocal style on original songs she’s writing herself.